What is a Resilient Bar? Resilient Bar is designed to substantially improve the sound insulation of plasterboard walls and plasterboard ceilings. The Resilient Bar effectively isolates the plasterboard from either the wall stud or ceiling joists. This isolation of the plasterboard effectively eliminates the 'direct contact', and works to dissipate the vibration, and therefore sound which would normally be transferred from room to room. 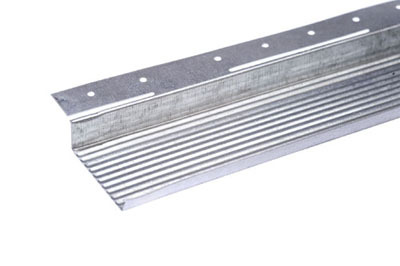 As Resilient Bars create an acoustic break between plasterboard and stud or joists. They are essential in conforming with Part E of the building regulations. Resilient Bars are used on ceilings to reduce the noise transfer between floors and rather importantly flats. By simply installing resilient bars to the ceiling joists you should achieve an 11db improvement to the sound insulation. However, once coupled with mineral wool between the ceiling joists and a double layer of acoustic plasterboard a 15 – 17db improvement can normally be achieved. Not only can resilient bar be used to reduce noise transfer between floors, but also to reduce noise transfer between different rooms on the same floor. Simply by screwing resilient bar horizontally across wall studs and fixing the plasterboards to the corrugated part of the resilient bar a noise transfer reduction of 11db can be achieved. Equally by filling between the wall joists with mineral wool and double plaster boarding on to the resilient bar, we would expect an improvement of between 15 – 17db. Remember, resilient bar is cheap, light weight, extremely easy to use and can massively reduce the noise transfer both between floors (by applying resilient bars to the ceiling) and between rooms (by fixing the resilient bars to the walls). Bulk Dry Lining carry resilient bar in stock, so whatever your requirement please do not hesitate to get in touch. 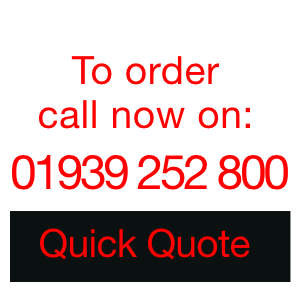 Remember we have been dealing in interior building supplies for over 50 years, supplying many of the country's main contractors and large house builders, whatever your dry lining requirement, we can beat any genuine like for like quote!